Dec Group provides high quality solutions for the pharmaceutical, chemical, food and cosmetic industries. This includes a wide range of patented products that enhance safety, hygiene, containment, reliability and productivity. Our tailor made solutions include Powder Transfer Systems (PTS), Sanitary Facility Design, Dosing, Bulk Handling, Drum Containment Systems (DCS), Bag Filling/Emptying Stations, Blending, Micronizing, Secondary Handling, as well as handling High Potency (purity and toxicity) Active Ingredients. Click to download the Dec Group Overview Brochure in PDF Format. Click below to review all of Dec Group's Powder Handling & Process Containment Solutions Products. The ability to move powder from any kind of receptacle to a wide variety of containers is invaluable, but these processes require equipment that can control different handling methods whilst also having the flexibility to be integrated into exiting processes. Safety, productivity and containment are key considerations, with ease of cleaning also being a priority. The PTS Powder Transfer System has been developed to provide safe and contained powder transfer, with a wide range of applications in addition to reactor charging. The PTS Mobile allows the operator to use a single unit for multiple applications. The PFL Powderflex System allows continuous and precise dosing in smaller to medium quantities. The SCC Single Charge Container, in combination with the PTS System, allows the addition of small quantities, single doses or catalysts. The DCS Drum Containment System has been developed to provide a safe and contained method of filling drums, big bags and continuous liners. It also has the capability of emptying process equipment and filling packaging in one step. Precise Big Bag filling is also provided by the DCS system in combination with a PTS Feeder. The DCS Liquid handles liquids which require strict odor control, toxic or corrosive liquids. 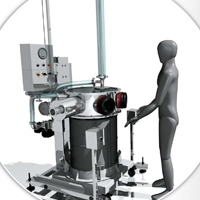 The PTS Feeder provides a single step solution for filling, emptying and dosing bags, drums and big bags. As a result, the ability to safely dispense powder from all types of equipment or packaging is invaluable to productivity. But each process or package can have different handling requirements, with containment and ease of cleaning also having to be taken into consideration. Flexible integration into existing equipment is also a key requirement. The DCS Drum Containment System has been developed to provide flexible, safe and contained emptying of drums and big bags, even allowing the operator to empty process equipment and fill packaging in one step. The DCS Liquid handles toxic liquids and those which require strict odour control. The DCS Inverter provides contained and quick emptying of drums containing lumpy or agglomerated products. 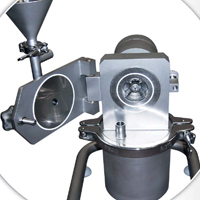 Working with the PTS Powder Transfer System, the Lump Breaker Suction Lance is the perfect solution for emptying drums containing lumpy or agglomerated powder. Dec’s Big Bag Emptying Stations offer a wide range of methods of handling Big Bags. 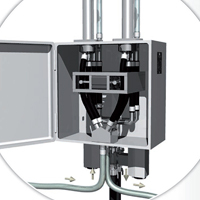 The DEC Isocharge combines the advantages of isolation technology with laminar flow technique, providing a high containment solution for emptying multiple bags. 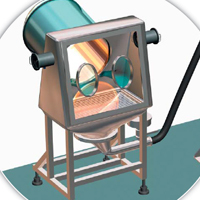 The Suction Hopper can be connected to various items of equipment. Working in combination with the PTS Powder Transfer System it provides easy discharge of poor flowing powders (lumpy, wet, etc). 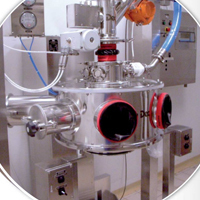 Accurate powder dosing into process equipment or packaging is one of industry’s most frequently executed operations. The ability to dose powder into a selection of receivers or packaging demands high levels of handling flexibility. Ease of integration into existing processes is essential, whilst safety, productivity, containment and cleaning must all be treated as a priority. 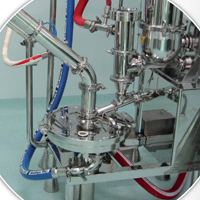 The PFL Powderflex System allows continuous and precise dosing of small to medium quantities. 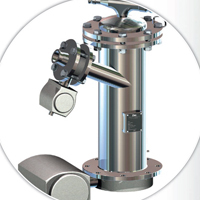 The DosiValve has been especially designed to avoid typical flow and accuracy problems when using standard rotating or vibration valves as it allows for precise dosing even when handling difficult products. 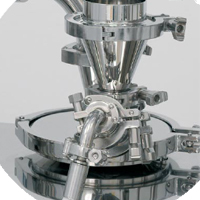 The PTS Feeder provides a single step solution for filling, emptying and dosing bags, drums and big bags. The MicroPTS is based on the PTS technology and allows precise dosing of very small amounts (<1 micro g) of powder in less than a second. Today’s processes demand the flexibility to swiftly mix powders with different characteristics, often within a contained environment. Dec has developed new technology to fulfill this requirement. The Batchmixer, which is based on the PTS technology, has been tested in a two years research study at a Swiss University. The results are revolutionary, providing a machine that is easily integrated. Taking powder samples is an important operation during any production process. Quality control is critical though, so the ability to take samples that are both representative and homogeneous samples is indispensable. Dec has developed a sampling device based on the PTS technology. The MPTS Sampling Device, which is based around Powder Transfer System technology allows operators to take samples of toxic powders automatically in a contained environment, even in areas where personnel have no access. The Universal Milling System (UMS) is designed and constructed for high performance, adaptability, toughness, easy maintenance and safety in use. With easily accessible interchangeable grinding media, variable speed and different construction materials it can grind materials of up to 3 Mohs hardness to within the ranges of 30 - 500 micron mean particle size. The stainless steel construction can withstand pressure up to 10 Bar. For highly toxic products the UMS is available in a contained through the wall version which can be inerted if required. The UMS is fully scalable, from lab to full production, with a range of models available to suit a variety of processes, with throughput from a few kgs to several tons per hour. All are compliant for ATEX, fully CE marked and are available with full PLC control. The Lump Breaker enables the safe and smooth deagglomeration of bulk materials that tend to compact and form lumps. Particle size reduction is a key process in laboratories and small scale manufacturing, right through to full size production. Dec’s versatile and multi-format micronizing equipment is designed to satisfy the full range of these requirements. Available in open and contained arrangements, with the ability to handle difficult and hard to handle products, they are ideal for pharmaceutical, chemical and cosmetic production. 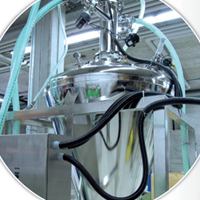 The systems can be provided in sterile, toxic or sterile toxic arrangements in contained or non-contained format. They also have the advantage of being both scalable and achieving any PSD (particle size distribution) profile when looking for a PSD below 20 microns. Correct optimization product recovery rates of 99% are achievable, with production ranging between 0.2 g on the smallest system, to better than 150 kg/h on the larger ones. In pharmaceutical manufacture containment performance is critical to minimize operator exposure and process cross contamination. Central containment goals are based on the need to give the operator optimum protection based on the product’s containment band, maintaining good cGMP conditions, eliminating cross contamination, and reducing clean up requirements. Dec Group has developed a range of technologies which rise to these challenges, technologies that allow flexible and safe handling of powders and simple integration into multiple production processes. New legislation outlawing irradiation originating from both the EU and the FDA makes sterile powder handling products increasingly relevant in a wide range of applications. 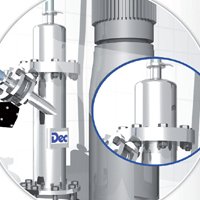 Dec’s products are world leaders in the development and implementation of micronising, packing and dispensing of products in processes that handle sterile powders. They are unique because the entire system remains sterile throughout the product cycle. Even during the sterilization phase the entire system is temperature and pressure mapped to validate the complete sterilization process (SIP) with controlled steam injections and condensate drainage valves easily achieving Sterility Assurance Levels of 10-6. 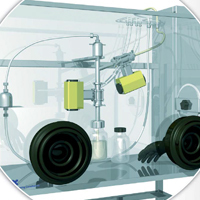 In contained systems for sterile toxic products the isolator is VHP’d to achieve the same SAL level. Effective powder handling is central to many industrial operations. Multiple processes demand fast, safe and easily integrated cleaning processes to maintain productivity. Dec has developed the PTS Cleaning Device, which provides a simple method of cleaning the PTS Powder Transfer System can be easily cleaned in place (CIP) without dismantling. The Retractable Spray Ball overcomes the significant challenges of cleaning full sterile and non sterile micronizing systems where product flow and/or cleaning to very high standards is critical. Contained charging of process equipment with toxic liquids is frequently required in industrial processes. As a result it is important to be able to charge a wide range of receptacles. Flexible integration is critical, with safety, productivity, containment and cleaning also being key issues. The DCS Drum Containment System is now available for liquids in various applications. The DCS Liquid handles a wide range of liquids, including toxic, corrosive and those needing strict odor control, the single system filling drums and canisters of varying sizes. The DCS Liquid was specifically developed for toxic and corrosive liquids, achieving containment levels of <1 ppm. 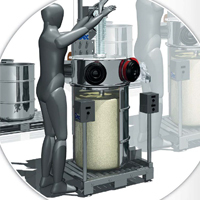 The safe, contained emptying and filling of drums using the suction lance housed in a special venting tube with a sealing plug is thus made possible without additional precautions, such as full protective clothing or large Laminar Airflow booths. The DCS Liquid can also be equipped with Load Cells for precision dosing. Drums can be partially emptied, eliminating the need for inefficient and time consuming pre-dispensing. The DCS Liquid is particularly recommended for the handling of liquids with strong odors, which are contained and removed by an extraction system. The DCS Liquid is easily cleaned in situ.